Is a flat rate the best rate? Well, it depends. 95% of the time, someone will benefit from a flat rate, but it isn’t always the customer. Sometimes it’s the moving company that gets the “deal”. For example, say a moving company would charge $100/hr for your move. And a flat rate moving company offers you a flat rate of $3,000. Assume these companies are equally competent. Now, if your move takes over 30 hours total from loading to driving to unloading, then you got a deal on the flat rate. But if it only takes 20 hours, then you essentially paid an extra $1,000. Difficult-to-Access Home – If your home is difficult to access (stairs, long driveway, difficult parking), it can add a lot of time to the moving process. In such a case, go flat rate. Difficult Possessions – Hard-to-move items take longer to move. If you need a lot of help moving heavy furniture and delicate items, flat rate is probably best. Long Distance Move – If you’re moving long distance, flat rate is probably a better option. 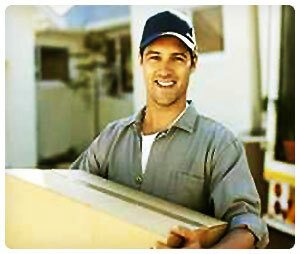 Need Help Packing – If you need your moving company to help you pack your items, it can add serious time to your move. Choose flat rate in that case. You Just Want a Set Price – There’s a lot to be said for knowing exactly what you’ll pay. It’s less stressful; it won’t result in arguments; and you can account for it months before you even move. If you just want to know how much your move will cost, go flat rate. Flat-rate moving companies can be found in any city in any state. Check out our quotes page to get free flat rate moving quotes.